A new CIBSE approved CPD seminar has been introduced by Kingspan Tarec®, examining how high performance insulated pipework systems can benefit the design, construction and maintenance of energy efficient buildings. The CPD provides an overview of the different HVAC / building services insulation options before focusing on premium performance phenolic systems, which offer enhanced fire performance along with the lowest lambda of any regularly used solution. As a result, the desired thermal performance can be met with a minimal product thickness, resulting in lighter solutions which can be installed more quickly and allow pipework to be designed and fitted closer together. The seminar covers all aspects of compliance with the latest regulations and technical guidance including ADL 2013; and provides an overview of the Enhanced Capital Allowances and long-term cost savings which can be achieved by insulating pipework to higher specifications such as NES Y50 Enhanced. 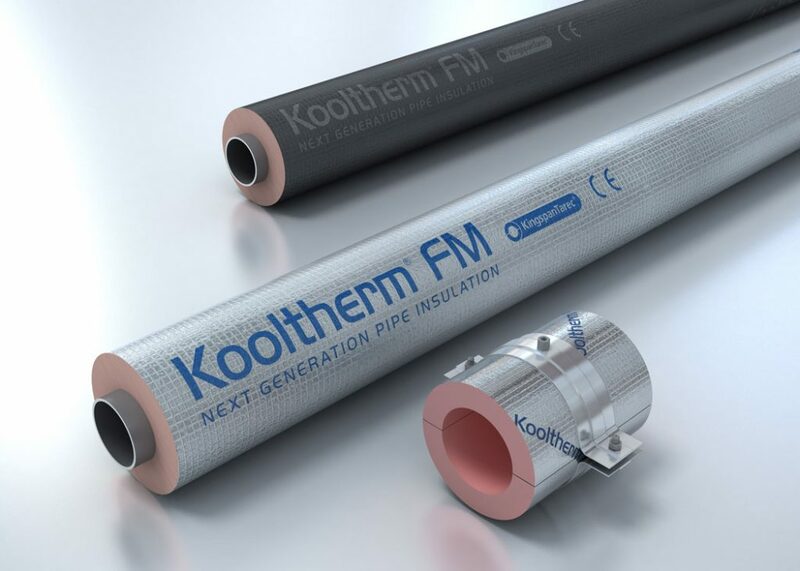 Independent research is also presented as part of the CPD, highlighting the advantages of using insulated pipe supports such as those provided with Kingspan Tarec® Kooltherm® FM Pipe Insulation. The analysis shows that heat loss through phenolic insulated pipe supports is up to ten times lower than wood block inserts and five times lower than metal clips . When properly installed, insulated supports can also help to maintain a vapour barrier around pipework and limit heat gains on systems operating below ambient temperatures. Kingspan Tarec® provides free, expert advice and guidance on everything from the latest regulatory requirements and best practice to detailed project specific advice and solutions, via its Pipeline Technical Advisory Service. To contact the technical support team call: 0808 168 7363.